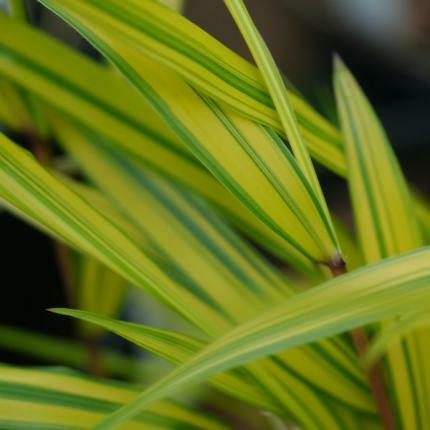 Deciduous hummocks of bright golden yellow foliage striped green. In full sun the leaves have a red tinge. Sun or semi shade. Moist soil. 40cm tall. Good in containers.